Harish is located on green hills close to the Iron interchange on Highway 6, at a height of 110 meters above sea level, and a driving distance of 10 minutes from Pardes Hanna-Karkur. 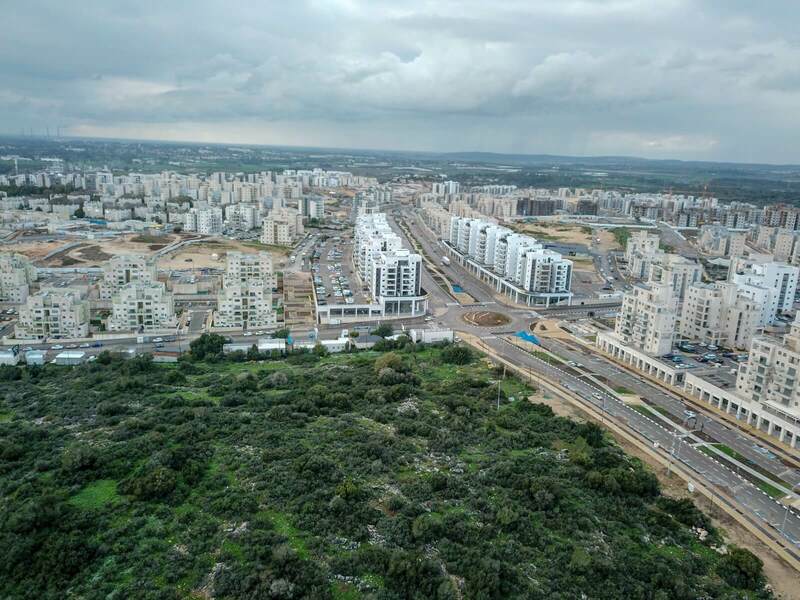 The city's origin is in Kibbutz Harish, established in the '80s and abandoned in the early '90s .After the kibbutz' evacuation, the Ministry of Construction and Housing laid down preliminary infrastructure for the development of the city of Harish. Additionally, as part of the plan to unify local authorities, a unified local council was established for the communities of Katzir and Harish, despite the relatively large distance between them. Despite considerable investment in planning, and extensive infrastructure deployment, at the start, the city's development was unsuccessful, and the population remained sparse – of the 1,000 housing units built, only about 300 were populated .Over the years, the town's population expanded slightly, rising to about 500 families; however, most of the infrastructure remained unused. In recent years, especially after the paving of Highway 6, the region saw a significant increase in the demand for housing among young couples and families, who found a home in the surrounding kibbutzim and the various communities in the Pardes Hanna-Karkur area. Harish's proximity to Highway 6, its location in the heart of the green Iron hills that enjoy continuous air flow and low humidity levels relative to the coastal plain, created renewed interest in the town's development. In 2007, the Ministry of Construction and Housing decided to attempt and settle Harish once more -this time as an ultra-Orthodox town. 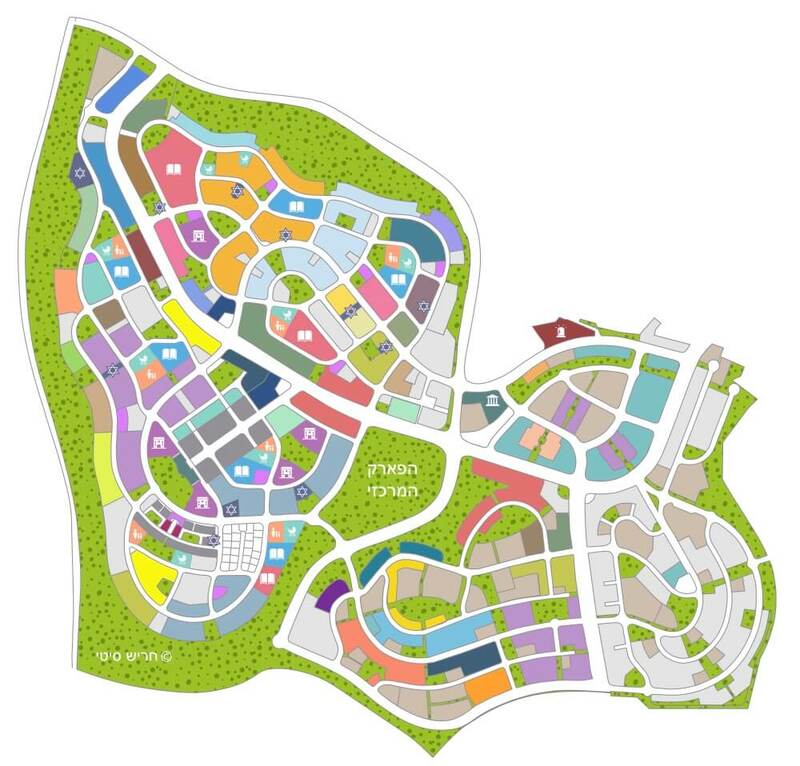 In 2010, a plan was designed to create 9,000 housing units and adapt the town to the needs of a Haredi population only. Many objections were submitted to this plan, mainly by the town's secular residents, but were rejected by the Appeals Committee of the National Planning and Building Council. In July 2011, residents of Harish petitioned the Haifa District Court against the decision that targeted the town solely for Haredi population, claiming that the planning would prevent the town's secular residents to continue the communal way of life they had maintained for more than a decade. 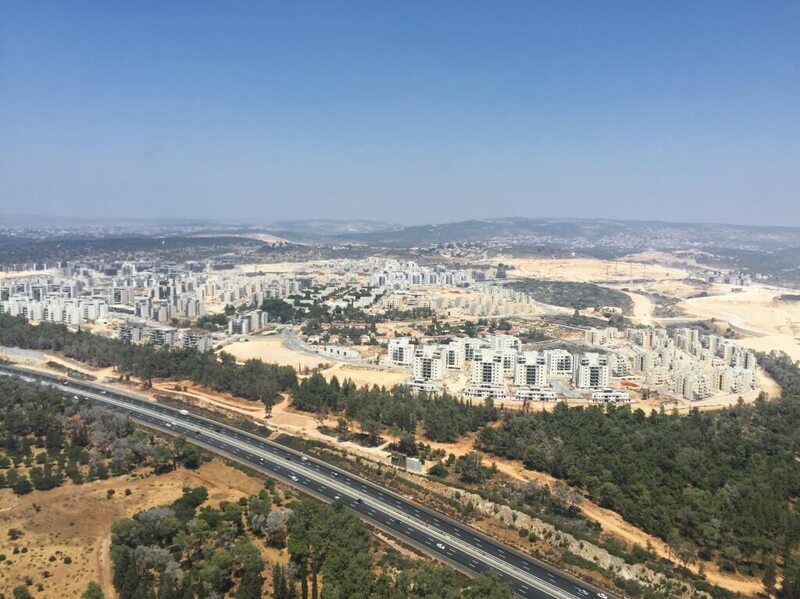 The Court accepted the residents' petition, and ruled that construction tenders for building in Harish should be opened to the general public and not be designated solely for Haredim. In addition, it was decided that the town would offer community services suitable to all residents. 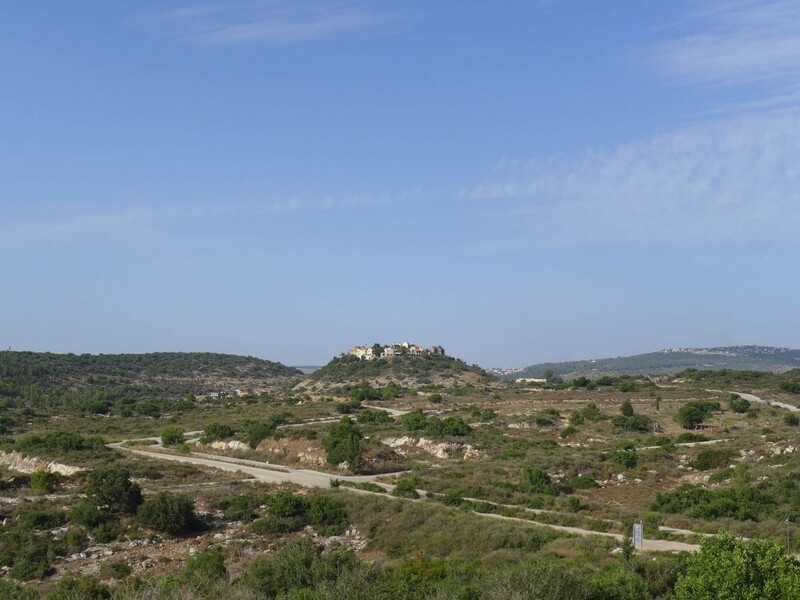 In 2012, a tender was held by the Israel Lands Administration on land for construction in Harish. A large number of contractors participated in the tender, among them 13 Haredi non-profit organizations. At the closing of the tender, the tender's committee disqualified 12 proposals by Haredi groups claiming advance coordination between them regarding the level of bids in the tender. With the decision to disqualify the 12 Haredi groups, the expected population composition of the future town changed significantly, and Harish became in fact a city open to the entire Israeli public. Moreover, the then Minister of the Interior, Gideon Sa'ar, announced that, for the first time in a decade, democratic elections would be held for the head of the Harish Local Council, a decision that terminated the term of the Shas-appointed committee headed by Nissim Dahan, one of the leading elements in the failed attempt to transform the town into a Haredi town. In elections for the leadership of the Harish Local Council, which took place at the end of 2013, Mr. Yitzhak Keshet was elected to serve as the new head of the Council. In November 2015, the Prime Minister, accompanied by senior ministers, visited Harish, and in December 2015, the government approved the draft resolution regarding the establishment of Harish, anchoring the commitment of various government ministries to the development of the city. As part of the decision, financial resources of over NIS 1 billion were allocated for the city's development and the various services of its residents. In 2013, the first stage saw the start of construction of 6,000 housing units in the "Avnei Chen" and "Horesh" neighborhoods. A large number of these units had already been marketed to the general public, both through building societies, contractors and entrepreneurial companies; however, projects in these neighborhoods continue to be sold. In the second stage, in 2017, over 3,000 additional housing units were built in the "Haprahim" neighborhood ("formerly known as "Ha'Magaf"), located in the southeastern part of Harish. The first projects in this neighborhood are already under construction, and marketing to the general public of most of the projects in the neighborhood has started. The city's population, as can be seen from analyzing buyer composition in the city's in various projects, is mostly secular and national-religious. In 2019, another 2,500 housing units started to be built in the "Bezavta" neighborhoods, as part of the first "Plan and Build" tender in Israel, as well as in the main business district ("Ma'of"), which will also include a business and commercial zone, a hotel, gas station, and other infrastructures. Recently, a new plan, was approved for deposit, that will significantly expand the city and will enable the establishment of a business and commercial zone in the city. In April 2016, Form No. 4 was delivered to the first 100 housing units in Harish, in the "Zamarot Harish" projects of the Dimri and Megiddo companies in Harish of the YH Dimri Real Estate Company. In early May 2016, the first family moved to Harish as part of populating the new projects. 50,000 residents are expected to live in Harish within the next 5 years, and the population is expected to number about 100,000 residents in the next 10 years. On September 01, 2016, with the establishment of four primary schools and 20 kindergartens and day care centers, the first year of studies opened in Harish. On September 2018, more than 2,600 children attended the city's 4 schools and 42 kindergartens. Secondary schools, as well as other schools and kindergartens are expected to open later, following the pace of population growth. During 2017, the main commercial avenue opened (Derech Eretz Ave.) which today includes a supermarket, a variety of shops, sick fund branches, fast food, cafés and more. At the end of 2018, the number of citizens living in Harish rose to more than 10,000, and this number is expected to double by the end of 2019. As a new city, Harish has become an exceptional solution in Israel for young couples and families looking for quality housing at affordable prices, in close proximity and with accessibility to the center of the country. Four-room units at high quality of construction standards are sold today at around 1 million Shekels. Advanced infrastructures and optimal urban planning – the city's infrastructures are designed on modern and advanced urban planning. The city was planned to ensure efficient and full use of the area, and includes a large number of greenery, public buildings and educational institutions, and, of course – a fully-developed public transport infrastructure. New apartments at affordable prices, given that the land and infrastructure were mostly subsidized by the state. A young, high-quality community, involved from the first day in the process of establishing a city with a variety of levels.